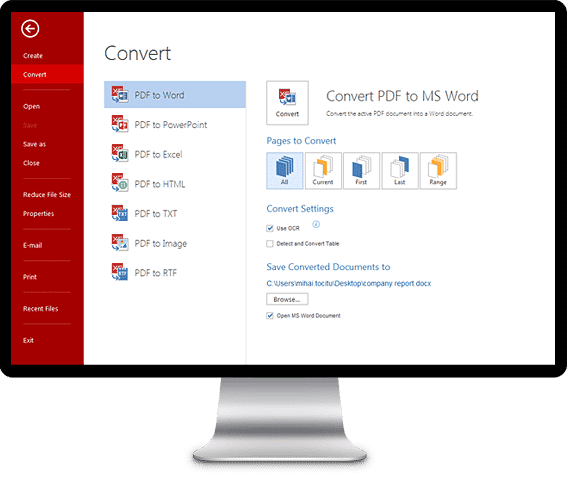 [Updated 11/19]The need for a PDF converter sure varies from person to person and can also depend on the kind of daily routine you engage in. However, one thing is certain, when the need arises for converting your PDFs to another format, you will need the best PDF converter to do so. Many PDF software around tout themselves as having the ability to deliver all you will ever need, but in reality, they only let you hold the short end of the leach. That means you can’t really do more with what they offer. The top PDF converters should invariably give you the multiple converting options that range from Word, TXT, HTML, JPG, PNG, EPUB among many others. Until you have a PDF converter program that offers you these and more, just know that what you have, at best, is a generic software that can lonely go so far. Well, it is in the interest of people like you that we have compiled a list of the good PDF conversion softwares(with free download available) that you can use on your Windows PC. This list will be reviewed in the order of their quality and delivery. Bear in mind that the right converters that offer top-notch converting options sure come at a price. However, there are some that will give you optimum service at affordable cost. These are the once we will review here. TalkHelper PDF converter is a top grade software that has the capacity to convert your PDF files into any format (or vice versa) that you need. These formats include DOC, DCOX, Excel, PowerPower, DWG, EPub, JPG, PNG or even HTML formats. If this is not what you are looking for, then I don’t know what is. Aside from the multiplicity of formats options you get with TalkHelper, there is also the simple and smart user interface that this PDF converter program offers, along with a offline full version that is available to download. It goes without saying that any converter software to rank among the top PDF converting software, it needs to be as easy-to-use as it is high tech. You can count on having these two in the TalkHelper. Further, it has the ability to perform the multi-paged conversion. This means that it can convert more than one page of the file at a time. You will agree that this feature just gave TalkHelper one more pass mark because it makes conversion efficient and less stressful. This also comes in handy if you need to specifically select a particular part of your document to convert. Another factor that makes the TalkHelper a premium choice is that it makes available a robust volume of customizable metadata. This means that you have a rich backlog of features to play around while converting your files. From the security of tracking openings of your document at all time to the ability to grant access and revoke access to users, TalkHelper gives the best of options. You can also input your personal signature on documents, redact some parts if you want to, or just outrightly encrypt your document. Whatever your digital need as per conversion of PDFs, this program has got just what you want. Finally, there is also the standby customer support feature that is readily available to attend to your every issue in case you need something. As much as TalkHelper offers a premium conversion service for your PDF files, it is readily available at a sum of $29.95 for the pro version. This is getting premium service at a relatively low cost. 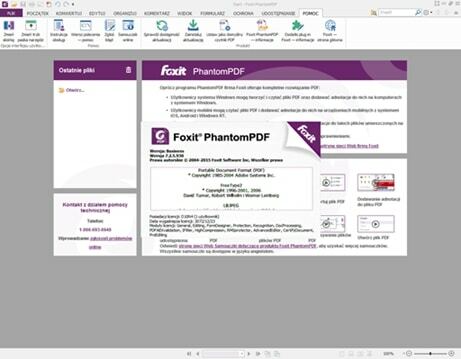 The Foxit Phantom PDF is a rather strategically built converter software that offers a robust conversion service for everyone. One of the key factors that made this converter program made our list is its robust cloud service option. With this, you can connect a team of workers to have access to your documents and get them to work more collaboratively. This is crucial if you are all working on a document together. With the cloud option of Foxit, many people can do collaborative reviews and analysis of documents before they are completed. There is also the option of tracking that is open to users of this converter software. You can conveniently keep track of the opening of your documents at every point. Hence, you are always in the loop when someone accesses or open the document. Here is what I consider as sophistication meets efficiency. You also get to grant and revoke access to your documents at your will with this software, you do not need to constantly worry about who is getting access to your information. 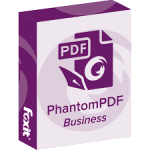 All those fears can be allayed by leveraging the security features of the PhantomPDF. Everybody loves Ice-cream. 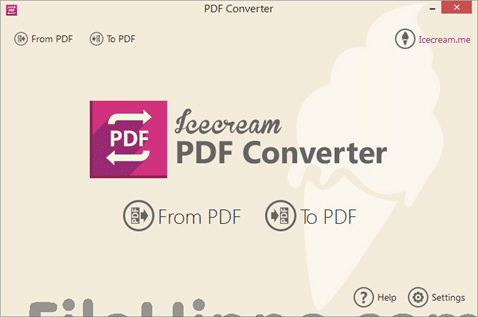 So, everyone should love Icecream PDF Converter. This conversion software is a great combination of an effective and very dynamic program that offers the option of converting PDF files to any desired format and also offers the conversion of any document format to PDF. This vice versa option is so cool that we can help but give it up for Icecream. For quicker processing, this software gives you the opportunity of converting all your documents in one click. So, you can work on converting multiple files all in one. Now, that is speed and ease merged in one. Another cool thing about this software that made it rank among the top PDF converting software is the fact that it offers the option of page layout for your conversion. In the case where you need to work with only a section of a page, you can readily select that area and convert it! Further to this, it allows you to select specific page range that you desire to work on. This makes you do more specifics as opposed to generals, if you want to try it yourself, don’t hesitate to click the “Free Download” button to download the full version. 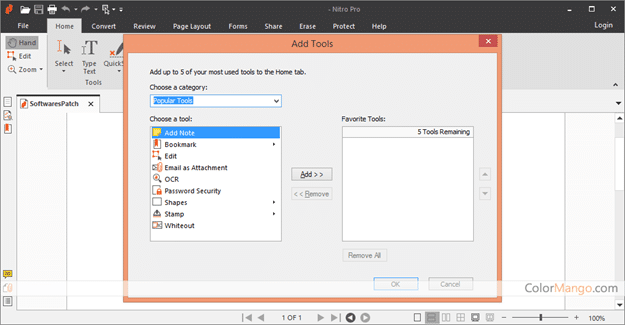 One thing that stood out about Nitro Pro is the brag that it creates and converts universally compatible PDFs, and it has lived up to that. It has been a major recurring issue that PDF users face today. Quite too often, you can open a PDF document on your PC but when you attempt to open on mobile, it is not compatible. This setback is as a result of incompatibility of conversion. But Nitro Pro solved this issue with ease. You can be rest assured that your converted PDF docs can be accessed and will be compatible with multiple devices. This assurance alone makes document transference easier and better. When it comes to converting docs to PDF, quite too often we forget that there is the part of editing. With the Nitro Pro, you can easily edit, customize and play around fonts and other styling options. Finally, the cloud option of this software also made it possible for you and your peers/colleagues to collaboratively review and work on your documents on the go. Nothing brings more ease of access than this. To summarize the capacity of this converting software, I will say it is a fine combination of simplicity in design and efficiency in execution. 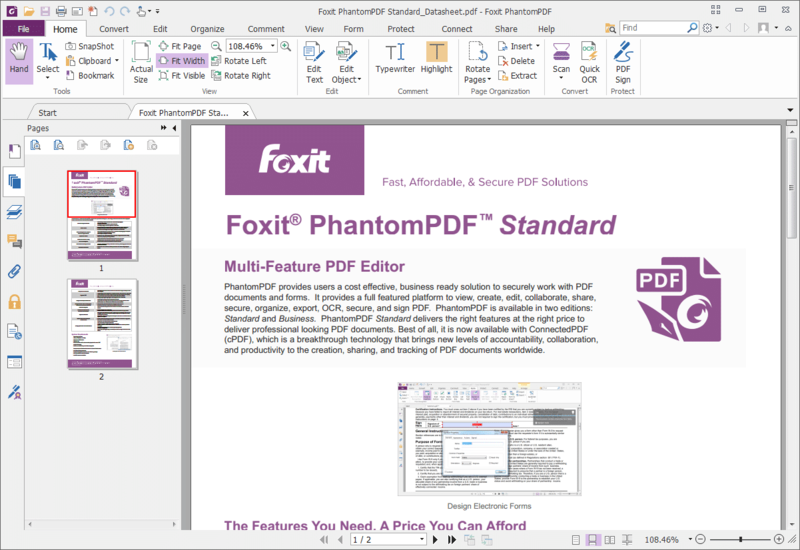 DeskPDF Studio XE is a rather medium grade software for converting your PDF that delivers way more than you can imagine. Although it is not on the scale of Acrobat, it has enough to cater for small-scale business needs and other sundry requirement that comes with them. It allows you to create the regular PDF files and also give you the access to print from the standard Windows print dialog box. Further in the ease of use, to start editing a PDF file with DeskPDF Studio XE, all you need do is to drag the document or file to the DeskPDF icon on your desktop and you are good to go. It is that simple, easy and efficient. Wondershare PDF software, as implied by its name is a wonder when considering the cost and what it delivers. A rather simple looking software, Wondershare gets the job done without hassle. With a few clicks, you have your files converted easily. Although this program is all good, there is a little set back that I must point out about it. Wondershare can only convert files of other types (Word, Excel, PPT, HTML etc.) to PDF. It cannot necessarily convert files PDF files to other formats. This is a little subtraction for those who want the luxury of converting from both ends. If you want to be able to convert other files to PDF, then this one is not for you. Aside from this, you can be rest assured to get all other benefits of a good PDF converter software on Wondershare. One thing that stands out about this software is it unmistakable simplicity. Quite too often, a good software with bad UX gets dropped given bad reviews because of the clumsy way of handling. So, for PDFMate, you are assured of the most simple and efficient conversion process. In other news, this software has a free version that offers a limited scope of use. If you are a regular user who do not need too much, this free version can be of help. But it stops there. You can’t do any more than the basics with this. 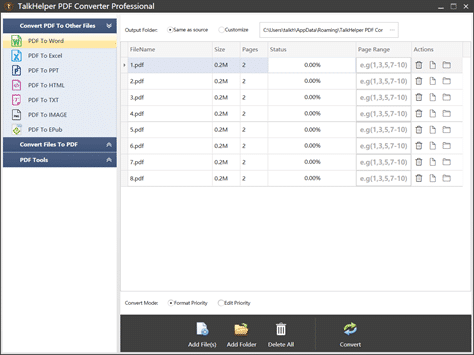 Another cool feature of the PDFMate converter is that it can convert into more file options than the regular. Here, you have the options of getting the conversion from file formats like EPUB, DOCX, JPG, SWF and even TXT. These options are not available in the regular everyday converter software, so it is an added advantage for you to leverage this. Now that we are done with the review of our list of “Best Free PDF Converter For Windows”, let’s share a few reasons why you should even use a PDF converter in the first place. People don’t just love to use files in PDF formats. They need too! The reasons why this is a necessity as opposed to it being just a thing done willingly is what we are about to examine here. Security and Protection Of Documents: one of the major reasons why should get a best PDF converter is to shield their documents from the unwanted hands of falsifiers. You don’t want to have people tampering with sensitive customer documents or details if you are a business entity. This is not reserved for the big organizations alone. Even small-scale people can and should leverage the security of PDF converters so as to be able to convert and protect all kind of sensitive documents that may be sent around ad transmitted between the organization. Further, from the fact that PDFs are protected from tampering, you can also protect your files with passwords that make them inaccessible by third parties. Compatibility With Multiple OS: PDF has come a long way and they are used by almost everyone at a point. Unlike much other software that has restrictions on specific OS, the PDF file format works with any operating system. This means that you can be sure to carry your work or file with you everywhere you go and access it across any platform you so desire. This freedom of access is one of the crucial reasons why the PDF format is preferred over many others. Consistency In Document Formatting: unlike other word processing programs, the PDF version of the document can be open in a consistent format across any version. This issue is common among other word processing software like Word and PowerPoint. The difference in software versions affects the opening and access of those documents. But this is not the case with PDF. So, you are rest-assured that your files can be accessed at any time and on any platform. 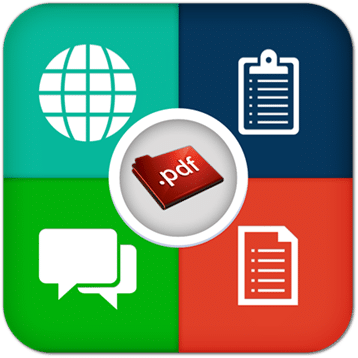 Robust Features For Document Handling: using best PDF conversion software, you have a robust list of features that you can tap into. From one-click conversion to the high quality conversion process and OCR Technology with batch conversion and page extraction, there is no end in sight for what you can do with a PDF file and conversion software. Go Paperless: As a person who handles different paper works daily, opting in for the use of PDF converter will help you to repurpose your use of paper. This is because you can now save all your documents in one format and save the use of paper all the time. Because of the multiple format type that PDF converters provide these days, you can be assured that all your documents can be safely archived and stored properly. Regardless of the format that your files are in, you can convert them to PDF and save them properly. Popular Format Use: these days, there has been a sharp rise in the need and use of PDF in file documentation. Getting a best PDF converter only increase the chance of you getting more leach to handle various files and document. The PDF format is easy to view and share and it is very safe to send across many people and platforms. Small Size Format: across the board, PDF formatted documents are usually lower in size when compared to other document formats. This is a very good opportunity to share files without a fuss and save more space on your device. 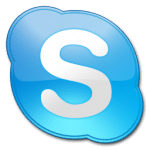 How to resolve the issue of “Skype for desktop is NOT running"?